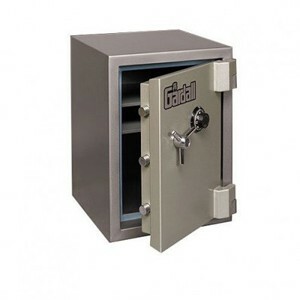 Gardall FB Safes | Fire Burglary Safes: Accu-Safes Inc. THE GARDALL FB1212 BURGLAR & FIRE RATED SAFE IS THE ECONOMICAL CHOICE THAT WILL PROVIDE YOU WITH THE PEACE OF MIND YOU HAVE BEEN LOOKING FOR WHEN IT COMES TO PROTECTING YOUR VALUABLES IN YOUR HOME. The FB1212 has a U.L. class 350 1 hour fire label (Underwriters Laboratory). This is your assurance of positive fire protection. Along with the fire labels this burglar fire safe also carries the U.L. Residential Security Container label. The rating means that it is secure enough to prevent most home burglary attempts. 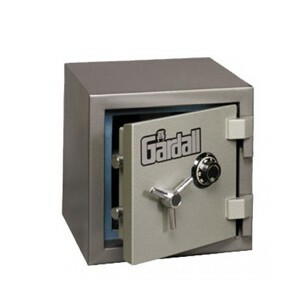 The Gardall FB2013 is the perfect solution for all of your secure storage needs. This heavy duty safe is fire and burglar rated to provide you with two types of protection that a normal safe might not have. Some safes are designed to protect you from fire or burglar, not both. The FB2013 will do just that. It has superior protection against any kind of theft attempt and it was tested in extreme heat conditions all while maintaining a safe internal temperature. The safe is made from solid steel and a composite fire resistant material that protects the transfer of heat from the outside to inside. It has a re-locking system to prevent any kind of forced entry attempt made on the safe. It has (3) 1-1/4" locking bolts which secure the door tightly when closed. It comes with a center bolt to secure the safe to the floor which makes sure the safe cannot be taken. All of these features combined give you complete control and peace of mind knowing your valuables are safe and secure against burglary and fire. 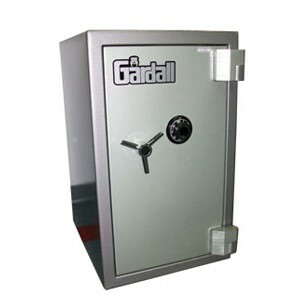 GARDALL FB2714 UL BURGLARY-RATED 1 HOUR FIRE SAFE - Heavy duty construction - 4.5" overall thickness door, 3.5” overall thickness body - The FB2714 is one of the MOST tested burglar fire safes on the market today! This safe also has the Underwriters Lab RSC (Residential Security Container) Burglar test. This safe is one of our best values. It has 3.5 cubic feet of interior space at a very reasonable price.